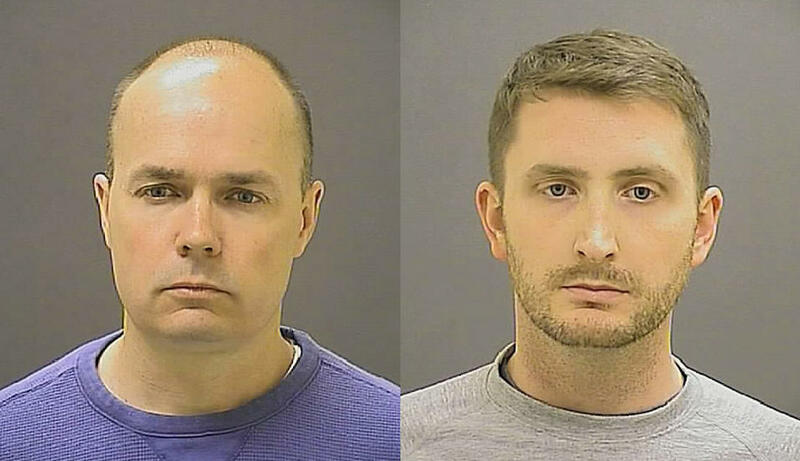 Two Baltimore police officers charged in the Freddie Gray case are opposing the state’s motion to delay their trials. Trials will be delayed until appellate courts decide whether another officer can be compelled to testify against them. Lawyers for Lieutenant Brian Rice and Officer Edward Nero filed responses Monday, February 8 in the Baltimore Circuit Court. Baltimore prosecutors are asking for a delay pending the appeal of Judge Barry Williams’ decision denying the use of Officer William Porter’s testimony in the trials of three of six police officers charged in the Freddie Gray case until appellate courts decide if another officer is awaiting retrial on a related charges that can be compelled to testify against. The state’s motion says Judge Williams overstepped his authority by inquiring into the state’s reasons for wanting to compel Porter’s testimony. The motion says that the law limits the court’s role in such matters to verifying that prosecutors have complied with certain procedural requirements. Lawyers from both side are barred from discussing the case with reporters. The state is arguing that Judge Williams does not have the legal authority to determine who can be immunized. Williams previously ruled that Porter could be compelled by the state to testify in the trials of Officer Caesar Goodson and Sargent Alicia White. That ruling has been appealed and is set for oral arguments before the Maryland Court of Special Appeals in March. The motion filed Friday, February 4 could postpone the trials of Lieutenant Brian Rice, Officer Garrett Miller and Officer Edward Nero for several months. Nero, Miller and Rice are charged with assault, misconduct and reckless endangerment. Rice is the only officer charged with manslaughter. Nero is the second scheduled trial, starting February 22. The motion is one of the latest developments in the state’s efforts to make Officer William Porter available to testify against all five officers in trials stemming from the April arrest of Gray, a 25 year-old black male who died from a broken neck during a ride in the back of a police van. Porter is the only defendant who was present at Gray’s arrest. Prosecutors have said they need Porter’s testimony against Goodson and White and may need him to testify against Nero, Miller and Rice. Porter’s manslaughter trial ended in a hung jury in December. His retrial is set to June 13. He is appealing the court order that would force him to testify under immunity against Goodson and White. Prosecutors said last week they will appeal Circuit Judge Barry Williams’ January 20 ruling that Porter cannot be compelled to testify against Rice, Miller and Nero. Judge Williams said that he was not convinced the state needs Porter’s testimony. Instead, he agreed to delay those trials until after Porter’s retrial. Alicia Harris, a freshman biology major from Richmond, Virginia thinks that the case should proceed as planned. “Freddie Gray deserves justice for his death. The case should not be delayed and the other officer should be allowed to testify. I personally believe the delaying of the case is postponing the justice that the Gray family deserves,” Harris said.